Is that a fancy word for pumpkin? Wait! it’s not pecanless pie, is it! I ❤ pecanless pie! Of course, I've googled the fancy word and will withhold further comment until thee speakest thy true meaning. Or some such. Oh my, that's a lovely pie. 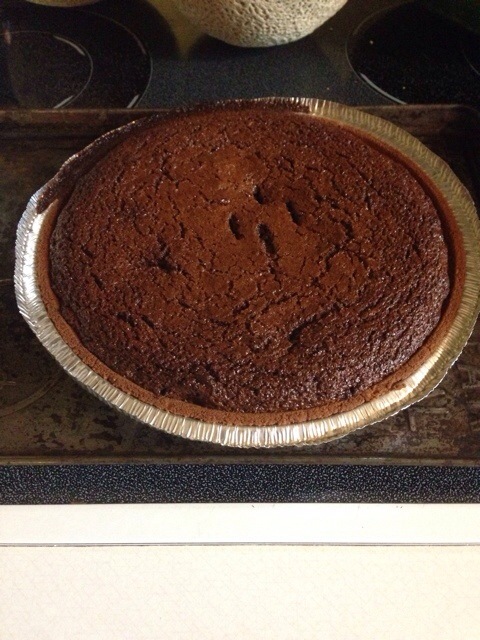 Graham crust too… oh man, is it a chocolate pie??? oh my word, it makes my temples buzz just reading the recipe! You enjoy and make sure to check in later. Just in case, you know, you go into sugar shock or something!